A degree in journalism can lead to many different professions in the changing media landscape. High quality writing, the ability to lead an interview, and working on a deadline are all skills that can translate to a variety of careers. Below are a few options to think about. Journalists play an important role in our democratic society. While much of the industry has shifted from print to on the web, courses in journalism build a strong foundation in writing, reporting, and interviewing skills. Students also become familiar with journalistic ethics, which are transferrable to any medium. 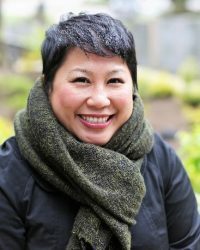 Blogger > Jess Estrada (B.A., 2005), writer, influencer, and strategist focused on Seattle, social media, personal branding, and blogging. Journalism students are encouraged to get hands-on experience through an internship. The department offers the Olympia Legislative Reporting Internship for those interested in political and legislative reporting, and the Journalism Foreign Intrigue Scholarship for those interested in international journalism. Students may also want to get involved with student media, including the University of Washington’s award-winning campus newspaper, The Daily, or join the Society of Professional Journalists student chapter. Communication professionals who deliver the news are important conduits for sharing information with the public. A dynamic team of professionals work together within the newsroom to present valuable and accurate news to their audience, and in the process help establish trust in the journalistic process. 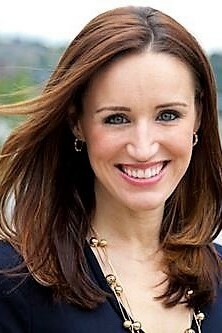 Anchor > Kaci Aitchison (B.A., 2001), Emmy-nominated host and reporter for Q13 News This Morning. Students interested in this industry could consider working for The Daily’s Double Shot on UWTV. Be sure to check out all of the great media production equipment you can reserve through the department as well. Students can also pursue UW’s Certificate in Film & Video Production. A career in writing draws on many of the analytical and communication skills that students learn while in the Journalism Program. Many industries rely heavily on individuals who can communicate effectively through the written word, making writers a valuable commodity. In addition, certain types of writing can be a rewarding way for a professional to enjoy a large amount of freedom in their career. Business Development > My Tam H. Nguyen (B.A., 2006), Vice President of Business Development at Blokable Inc.
Students interested in writing will leave the Journalism Program with a great portfolio of completed work.